Jacob Monroe (California-Santa Barbara, advisor: M. Scott Shell) and Prateek Mehta (Notre Dame, advisor: Bill Schneider) won the 2017 CoMSEF Graduate Student Awards in Computational Molecular Science and Engineering at the AIChE Annual Meeting in Minneapolis in October. 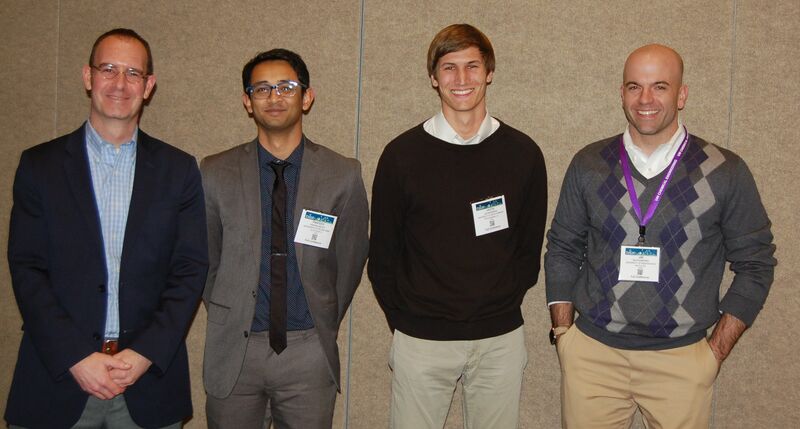 AIChE's Computational Molecular Science and Engineering Forum (CoMSEF) graduate student awards recognize excellence in research by graduate students. The intent of the awards is to reward significant contributions to research in computational molecular science and engineering by students. The award consists of a certificate and an honorarium.